Fitzroy Partnership for River Health is pleased to announce that their HeART of the Basin Scholarship through CQUniversity will be open for applications from 27 August 2018. 2018 will mark the third year of the Scholarship, which is aimed at increasing research and knowledge in waterway health in the Fitzroy Basin. 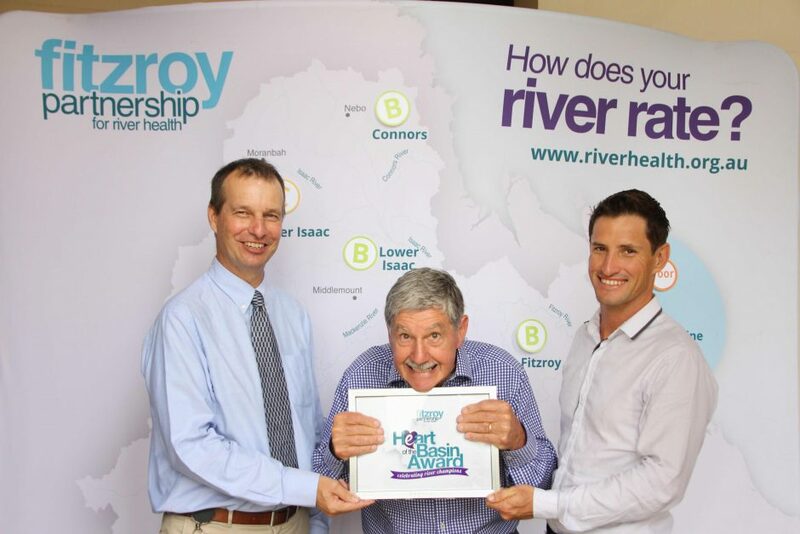 The $2,000 scholarship celebrates the contribution of inaugural Fitzroy Partnership for River Health Science Panel Chairman, Professor Barry Hart. The 2016 scholarship was awarded to PhD Candidate Evan Chua for support of his research titled ‘Development of toolbox for fish health assessment in aquatic ecosystems associated with coal and gas industries in the Fitzroy Basin‘. The 2017 scholarship was awarded to Masters research candidate Julie-Ann Malan to support her research titled ‘Off Stream watering for riparian protection and improved water quality’. The scholarship is open to research students at CQUniversity studying Honours, Masters by Research or PhD to progress their learnings in a research topic relating to improving waterway health in the Fitzroy Basin. It is expected the scholarship will be used by the chosen applicant for research expenses. Study Region: Rockhampton or distance. Research focus to be within the Fitzroy Basin region – see map here. Eligibility criteria: details provided in the application form. Selection criteria: details provided in the application form. Application form: please download here.